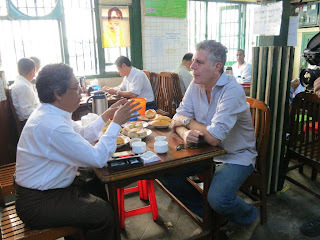 Anthony Bourdain departs with fork in hand for "Parts Unknown” with CNN! Top chef, culinaire, bestselling author and travel host Anthony Bourdain will launch a new show "Parts Unknown" on CNN. The one hour weekend show premiers on April 14th, at 9pm ET with it's premier episode of Part's Unknown Explores Food and Culture of Myanmar.